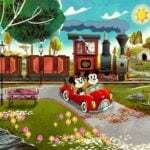 Today, the Disney Parks Blog shared a brand new image for Mickey & Minnie’s Runaway Railway. The attraction is coming to Disney’s Hollywood Studios in 2019. This immersive ride will take guests into the cartoon world where they become part of the adventure. 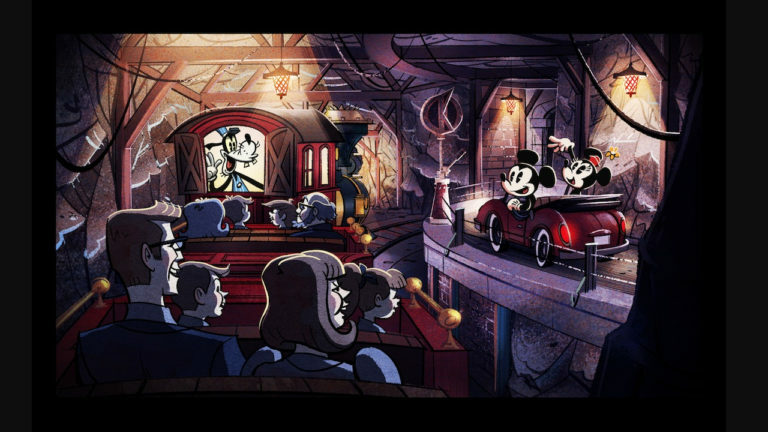 This attraction takes place at a movie theater that’s premiering a new cartoon short starring Mickey and Minnie. The film will feature Mickey and Minnie preparing for a picnic. As they set out for their afternoon, they’ll drive alongside a train that’s being engineered by none other than Goofy. Thanks to some movie magic, guests watching the film will slip into the story and join Goofy on his train for a wacky, wild ride. Mickey and Minnie’s Runaway Railway will feature a new catchy theme song created especially for the attraction. 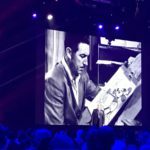 The teams helping create the attraction are currently working with partners at Disney Television Animation to keep the characters and storyline authentic – and allow guests to join Mickey and his friends like never before. Fans can now check out a model of Star Wars Galaxy’s Edge at Walt Disney Presents. 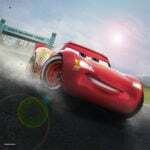 Today, Disney also announced that a special show starring Lightning McQueen is coming to Hollywood Studios! The red race car will host a Racing Academy that’s expected to debut in early 2019. A dedication ceremony was held at Toy Story Land this morning. Guests will be able to join the fun in Andy’s backyard tomorrow, June 30th.